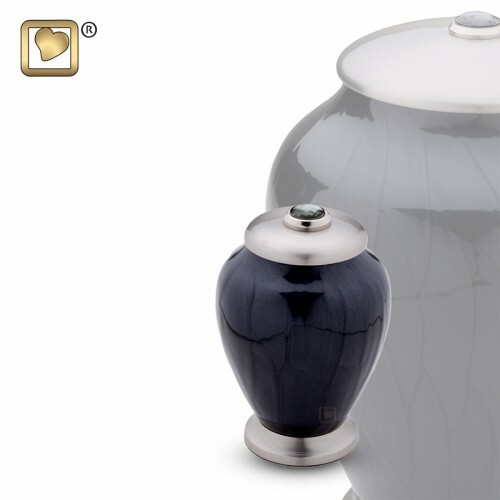 The Simplicty Cremation urn features a beautiful black pearlescent enamel finish on a solid brass body. 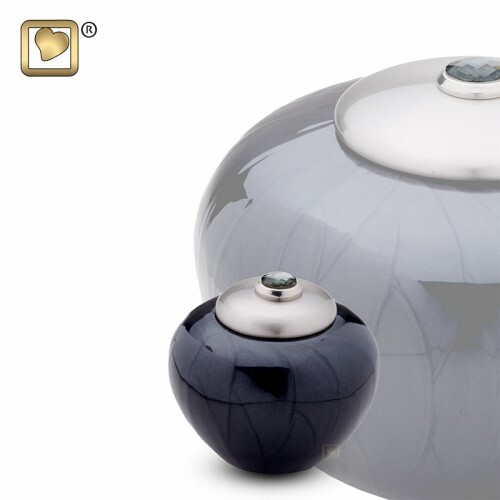 The lid and base have a lovely pewter finish and the beautiful Swarowski crystal on the lid is a nice enhancement. The lid is threaded. 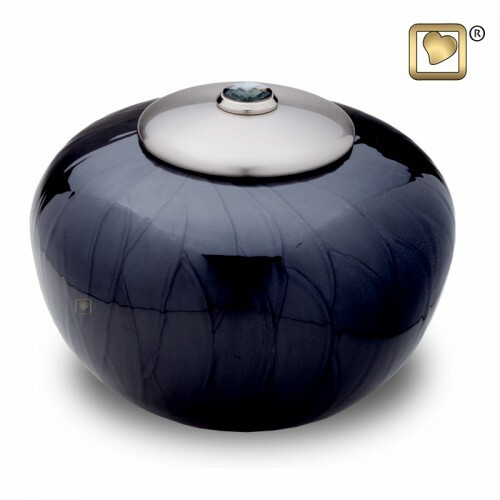 The urn is protected with a specially formulated GlossCoat™ for added protection. The Adult sizes come with a velvet pouch. 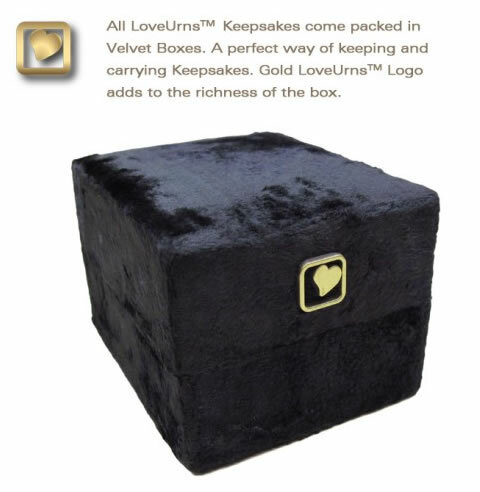 The two keepsake sizes come with a velvet box. 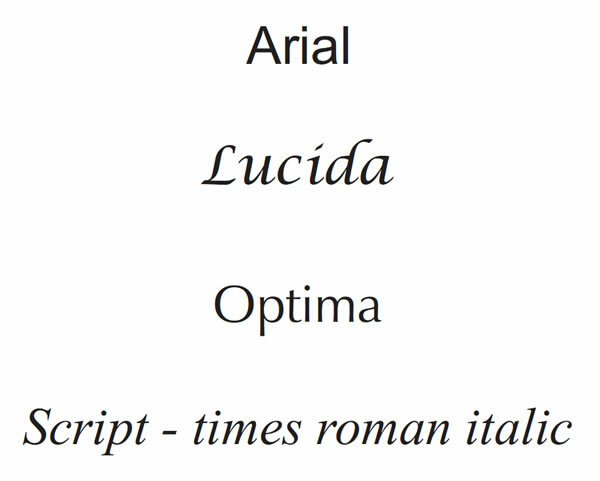 See Detailed Images. The urns cannot be engraved. Engraving is available with our 2.5"L x 1.5"H silver pendant medallion. 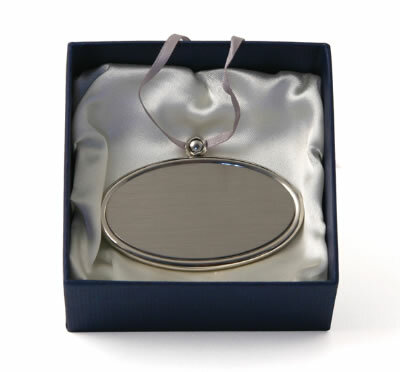 The silver pendant medallion is suitable for the tall adult urn but not for the round urn or keepsakes. Ships separately 1-2 business days after ordering via USPS. Matching Tall and Round Keepsakes are available in this design. One pound of healthy body weight equals approximately 1 cubic inch of volume. This is an estimate only and will vary with height and bone structure.